The Bible is the oldest and most popular book of the world. The Bible is the source of truth and life. The Bible is a typeface inspired by our Creator. Unity of its teachings - the Bible at 66 books, written by 40 writers in a range of about 1,600 years. Were farther apart, not only the environment but also time and space and yet is not inconsistent or contradictory. This testifies to the God as the author. History and Archaeology - confirms that the events about which the Bible says really happened, because the characters, nations and cities actually existed. Fulfillment of prophecy - demonstrates the truth of the prophets claim that their message comes from God our Creator. Bible - No one could come to more humane and moral message, before bringing the Bible and how Jesus gave his words and life. Objectivity - The Bible is unique also because respecter of his heroes, but it gives objective information about their positive and negative sites. Influence of the Bible - The greatest proof of the Bible are people who really changed the Bible. People who were evil, cheat, lie and murder, but the action of the Bible have become completely different - new people. 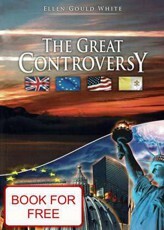 We will try to uncover you are Biblical stories and truths that are written in this book. AmazingHope.net - Bible facts and truths.